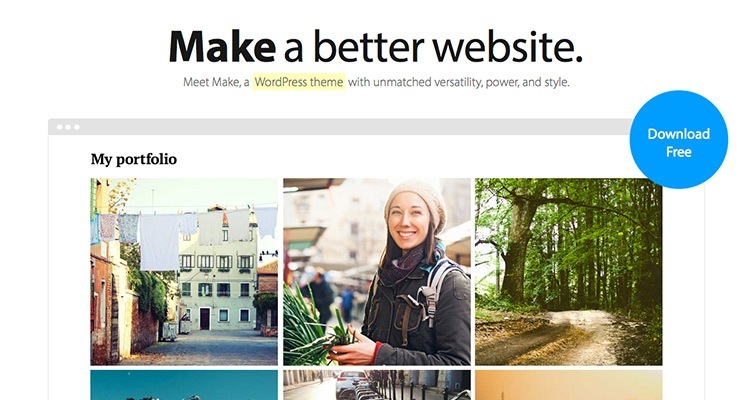 The Theme Foundry today announced Make, a free theme that “takes the drag and drop page builder from Basis to the next level.” The fact that Make is a free theme is notable, as most of The Theme Foundry’s themes for the past six years have been commercial themes. Make’s main focus is on the drag and drop page builder, which debuted with Basis last November. Included in the announcement today is a companion plugin called Make Plus, which adds such things as a WooCommerce section available in the page builder, Typekit integration, support, and other features. 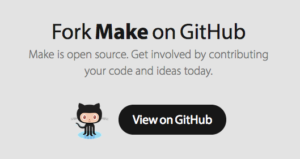 Also notable is that the sales page for Make prominently links to the Github repository, encouraging people to fork and contribute to Make. This is a good thing for a few reasons, in my mind. First, it means that The Theme Foundry will potentially benefit from contributions made by folks outside their organization, which then makes their product even better. Second, it builds goodwill in the community, as it’s yet another action that shows their dedication to open source. Third, it makes the code that powers things like the drag and drop page builder freely accessible, which could result in further innovation, new products, etc. which have the potential to benefit the larger community. Make comes built in with three demos to give users an idea of what can be done with the theme. They showcase a portfolio website, a more traditional use case, and a cooking blog. I like the way they did the different demos, as it gives a much better idea of the type of things Make can do. Those of you who tried Basis when it came out will be familiar with the backend drag and drop functionality in Make. But it does include some significant enhancements that you may like to try again. Specifically, there is more flexibility for controlling the number of text columns, and a few other handy features. Make Plus is the companion plugin The Theme Foundry is releasing alongside Make. At $99, it’s completely add-on functionality, hooked into the Make theme to add additional support for a variety of features. The model for Make and Make Plus is interesting. Not many theme providers are providing pro versions through plugins. However, if theme development practices in general had evolved differently, such a methodology could have very well been the standard for a long time. Instead, more often theme “frameworks” have been based off of parent / child relationships. Also, this is a pretty big shift for The Theme Foundry, getting into the freemium market. However, many theme companies have done quite well by building a base of users on WordPress.org and up-selling support and pro features. Even The Theme Foundry started out by giving away free themes. And since Make is already quite an advanced theme without Make Plus, it will be really fascinating to see how Make Plus adoption goes. I have little doubt Make will succeed as a free theme; it’s an outstanding theme on its own. I was particularly interested that The Theme Foundry said that they “see it [Make] as our flagship theme of the future.” Perhaps they intend to build a significant ecosystem around Make and Make Plus. The model for the commercial plugin would certainly allow it, and over time it could be a compelling option for a site-building framework for those that are seeking such a solution. Check out Make’s landing page for a full breakdown of what you can do with it, and their launch post as well. 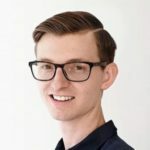 Editor’s note: The Theme Foundry is the primary partner of Post Status, and Editor Brian Krogsgard co-authored this article. Make is exactly the type of product that makes me proud to have them as a partner.